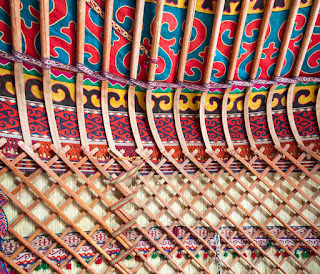 Writer and photographer Anita Breland visited Uzbekistan and Kyrgyzstan with Uzbek Journeys in April/May 2012. 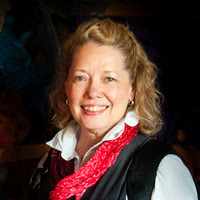 Accounts of her travels with us appear on Anita’s Feast, her blog celebrating culture through travel and food. Traveling in the “Stans”, former outposts of Soviet authority, is to experience a region in transition. Political change and infrastructure development are ongoing, after more than a century of Russian and Soviet empire. From the fabled cities of Samarkand and Khiva in Uzbekistan, to the vast steppes of Kazakhstan, each country has its own appeal to the traveler. Kyrgyzstan’s nomadic history and tentative democracy sit in appealing juxtaposition to its neighbors along the Silk Roads of Central Asia. Now is an exciting time to go there. In a country that is ninety-six percent mountainous, it is impossible to escape stunning mountain vistas, and who would want to? Bishkek, the compact capital, is surrounded by snow-capped peaks, its modern buildings bright under summer skies. Hiking lures visitors and locals alike along leafy gorges with rushing streams, past shamanistic altars and through flocks of sheep and goats. Serious mountaineering venues, such as Peak Lenin, await climbers. Or there’s horseback riding in a land of horsemen. Outfitters can help travelers organize excursions at various fitness levels. A strikingly modern sense of style and energetic idea-making infuses the Bishkek design scene. Up-market boutiques and the ateliers of fashion-forward designers offer stylish silk and felt goods at reasonable prices. Artisans readying their wares for international fairs, sell traditional and new-style crafts at pop-up markets and upon request. Nomadic traditions have underpinned Kyrgyz culture for centuries, and initiatives to revive and preserve them for future generations make it possible for travelers to learn about yurts and felt, and other aspects of a lifestyle that is quite different to other countries in the region. 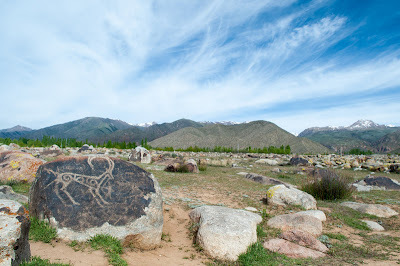 Traveling around Kyrgyzstan takes a visitor past petroglyphs dating back millennia, and provides a window on a nation of understated Islam, where minarets are fashioned of pounded tin, or in Karakol, constructed of painted wood beside a pagoda-style mosque purpose-built for the Dungan community. A variety of culinary adventures awaits travelers to Kyrgyzstan. A four-course dinner in the capital may feature spicy Szechuan salads and peppery marinated, roasted meats, as well as steamed dumplings and the ubiquitous vodka or Kyrgyz beer. Fish from Issy Kul Lake is sold dry-cured by lakeside vendors and available European-style at Bishkek fish restaurants. It is possible to visit a Uighur home in the countryside for a meal, or even stay overnight and have a cooking lesson. Not surprisingly, traditional Kyrgyz hospitality is generous, too, and may include a huge spread of nibbles, breads, salads and soups, as well as sturdy main courses such as beef stew. Visitors looking for a Soviet/Russian time-warp experience will find it here. Issy Kul Lake was a favored getaway of Boris Yeltsin, and it is still possible to take the waters at one of the Soviet-era spas there. Lenin’s statue still stands in Bishkek, and a MIG fighter jet is perched beside the highway at the eastern end of Issy Kul. A museum honoring Russian explorer Przhevalsky, the diminutive Holy Trinity Cathedral in Karakol, and the town’s somewhat scruffy cottages with shutters and eaves straight out of Doctor Zhivago, all provide glimpses into a bygone era. For me, Kyrgyzstan was the perfect follow-on to extended overland travels in Uzbekistan. I’d soaked up about all the fabulous architecture and desert heat I could manage for one journey. Eight days in neighboring Kyrgyzstan brought, literally, a breath of refreshing mountain air and inspired beauty I’d not expected to find. Discover the beauty of Kyrgyz landscapes, craft and traditions on an Uzbek Journeys tour. 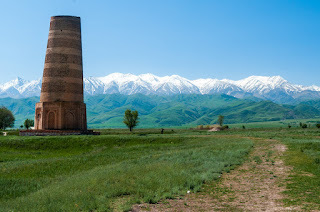 Read more Uzbek Journeys posts about travelling in Kyrgyzstan.